The K9000 is a self-serve dogwash that accepts either cash or credit cards. Your customers can easily wash their dog in a few minutes for only $10. The dog wash system pays for itself after one year. K9 resorts is a dog kennel that prides itself on giving dogs the best possible stay, going as far as having group dog sessions via doggy daycare, cage-free rooms and even 9'x9' doggie boarding rooms, perfect for families with multiple dogs. We sell through Authorized Dealers, logoed promotion goods like ball caps, mugs, pens, apparel, tote bags, watches, business accessories and more. Kaeser & Blair is the original business opportunity in the promotional advertising (advertising specialty) industry. We have the industries largest network of Authorized Dealers. We have more experience establishing independent owners in their own promotional advertising business than any other company. Kaiten Sushi is a Japanese sushi restaurant chain with a Japanese model that sets the pace for efficiency: menu items are placed on a conveyor belt that continuously rotates around the sushi bar, allowing customers to simply reach up and take off the plated items for dining. Kaiten Sushi, in fact, translates to ‘Conveyor Belt’ Sushi in English. The brand has exploded in Japan and internationally. In addition to sushi, Kaiten Sushi also offers selections of drinks, fruit dishes, desserts and soups on the conveyor belt, and beer and special items can be ordered. Kalologie offers an unprecedented opportunity for entrepreneurs in the spa industry. Spa design, products and services, client membership, marketing, and franchisee training all work together to create an opportunity unlike any other. Kampgrounds of America (KOA) is a franchise chain of nearly 470 campgrounds throughout North America based in Billings, Montana, USA. Dave Drum started Kampgrounds of America in 1961. He and other Billings, Montana, businessmen set up camping facilities off highways 87 and 212 in 1962, when the World's Fair in Seattle was attracting tourists along those routes. KOA campgrounds offer hot showers, clean restrooms, laundry facilities, convenience stores, swimming pools and playgrounds. Eight of every 10 KOA campgrounds is within 100 miles of a metropolitan area, and some offer economical lodging for tourist destinations. Kangaroo Bob's, which is at the forefront of child development, has created a fun environment to teach teamwork to children through parties and play. Kangaroo Bob's patent pending teamwork curriculum creates an extraordinary party and play experience for children and their families, which correlates into an incredible business opportunity for franchise candidates that are as passionate about running their business as they are about developing young minds. Kanga's Playcenter is revolutionizing the children's indoor playcenter market, focusing on safe, clean, high quality play equipment with outstanding customer service. 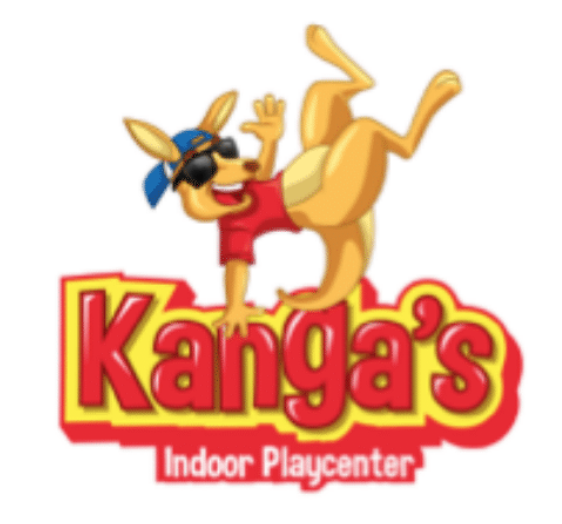 As playcenter leaders, Kanga's attracts the high-income, mid to high socio-economic market which wants top quality and is willing to pay for it. Join the American branch of Australia's most funtastic franchise group today! Karaoke Entertainment & DJ Services® specializes in providing karaoke to restaurants, clubs, corporate & social events. Karaoke lets everyone participate and sing along with the words. Karaoke is very popular with people of all ages and that\'s why it\'s a $10 billion a year business! Karaoke Entertainment & DJ Services® is the most highly respected and first karaoke franchise company in the United States. The nation's first Karaoke Franchise provider, Karaoke Entertainment & DJ Services® was founded in 1991 and started franchising in 2006. With over 15 years of experience in the Karaoke & DJ field we have the knowledge to teach, train, and offer ongoing support for a successful and profitable business. Kar Kosmetics LLC - - a Delaware-based business has been painting pinstripes on cars, trucks, vans and SUV's a Delaware-based business has been painting pinstripes on cars. The Kar Kosmetics system streamlines the pinstriping application to a science that practically anyone can learn – with no artistic ability or automotive experience necessary. Kart Trax Formula Racing's Myrtle Beach locations is the only indoor electric go-kart racing facility in the state. This means that unlike your average go-kart track, Kart Trax Formula Racing is clean, fume-free, and relatively quiet. Kart Trax Formula Racing offers adult racing, childrens racing, lazer tag, batting cages, and dozens of other amusements. The KASE is an international brand, specializing in customized, fashion-forward accessories for smartphones and tablets. Transforming this commodity market into a fashion accessory industry where customers can enjoy repeat purchases to match the current trends. Katos Grille and Bbq is an upscale restaurant franchise focused on providing Japanese style grilled entrees as well as providing unique barbeque sauces to customers and traditional Japanese food fare, such as sushi and tempura. Kazoo & Company Toys is a full-service toy store and business based in Denver, Colorado, providing one of the largest selections of 60,000 different toys! in the nation of quality toys, games, puzzles and creative activities for kids and kids-at-heart. Kazoo & Company has become the largest retailer of educational, nonviolent toys in the world. The company prides itself not only on its vast selection of toys and playthings for kids aged baby to teen, but also on its success in offering parents, grandparents and teachers a fun shopping experience. The kebap, a Turkish cousin to the Greek gyro, is actually named donor (turning) kebap (roasted). Keba’s traditional kebap sandwich is made with a European-style bread (round bread, toasted on the outside and moist and flaky on the inside), exclusively baked for Keba with a secret recipe. The bread is filled with your choice of meat (chicken, beef or pork) that is marinated and grilled on a vertical spit giving our patrons a sensory centric experience. In addition to these marinated meat options, Keba also offers a selection of tuna, falafel or feta to serve in its place. The sandwich is topped off with lettuce, cabbage, tomatoes, onions, cucumbers and one of Keba’s nine (9) signature sauces. KEBA can also build your KEBA as a wrap, salad or K-Bowl (A KEBA sandwich without the bread). To round out the Keba experience, KEBA offers authentic Belgian fries and refreshing gelato. KEBA’s fries are accompanied by your choice of one of the nine (9) dipping sauces. They are cut daily, precooked and then flash fried when the customer orders them. All sandwiches and fries are made to order and offer a healthy quick service alternative. KEBA founder, Achim Reus, was born in Germany, where the kebap is the number one selling sandwich with annual sales exceeding $3 billion. KEBA’s goal is to turn it into America's favorite sandwich one KEBA at a time. KEBA Spitfire Grill…We carve, you crave! Keep Flippin's gymnastics facility is truly unique. Our one of a kind program is performance based, rather than being competition-based. We embrace our mission to teach gymnastics and give our gymnasts the full range of the gymnastic experience. Our program teaches all aspects of gymnastics and apparatus. We embrace our gymnasts at any age or skill level and will teach them everything they wish to learn. We have used our many years of gymnastics and business experience to develop this model. As part of our family, you get the full support and services of the Keep Flippin team – a group that is committed to providing you with hands-on training, consulting, equipment and the resources you will need for your own Keep Flippin gym. Keller Williams Realty is the world’s largest real estate franchise by agent count, with more than 900 offices across the globe. The company has grown rapidly by cultivating an agent-centric, education-based, and technology-driven culture that presents brokers with the opportunity to become stakeholders. The franchise's focus on training, profit sharing, and what's been described (or attacked, depending on where you stand) as a very different culture underpins its strategy of acquiring and retaining the most productive talent to outmaneuver competitors who may benefit from greater brand name recognition. Keller Williams also offers specialized real estate brokerage for luxury homes, commercial, and farm ranch opportunities. Kendrick Gourmet Food and Gifts provides specialty food such as candied pecans, gift baskets, and other gourmet food items. Dating back to 1969, we are a brand that has become synonymous with great taste. For generations and generations individuals who have wanted to be their own boss and make an honest living for themselves and their families have sought to purchase franchises. The reality of franchising is often very different from the perception with typical franchises being a long term commitment; putting hundreds of thousands of dollars into buildings, equipment, inventory and other capital investments hoping to succeed after years of operating. Kennelwood Pet Resorts provide pets a safe and healthy vacation, but with lots of fun and attention, too. Kennelwood Pet Resorts are full-service facilities offering a wide variety of services, including all-suite pet accommodations, award-winning grooming, personalized play time, Doggie DayCamp, and professional training. All Kennelwood Pet Resorts offer pets and their pet parents a variety of destination choices and accommodations for cats and dogs, all under 24-hour supervision and constant monitoring of safety and cleanliness. Kensington Nanny & Home Services is the leader in professional childcare staffing solutions for homes, hotels and resorts. We are currently seeking professionals who are looking for a proven, home-based business concept in a high-growth industry. Since 1986, Key Credit Corp. has been a successful Commercial Lease/Finance Broker. We continue to teach our simple formula for success to entrepreneurs who want to own their own company with unlimited earning potential by providing commercial financing. Our unique training system will teach you what you need to know to be your own boss. Our detailed step-by-step plan of proven techniques and on-going support will enable you to succeed and realistically earn a SIX-FIGURE INCOME.